For a time, when I first made the switch over to living a paleo lifestyle, I thought I would never be able to enjoy a sub sandwich ever again. As a former Subway addict, it was a truly frightening thought. Thankfully, as with many other foods I thought I couldn’t enjoy anymore, I was wrong. Not only can I still enjoy a tasty homemade meatball sub, but it’s actually healthier than the types of sandwiches offered by Subway and other chain restaurants, which are actually not as healthy as many people tend to think. So what’s the secret to making the best homemade meatball sub ever? 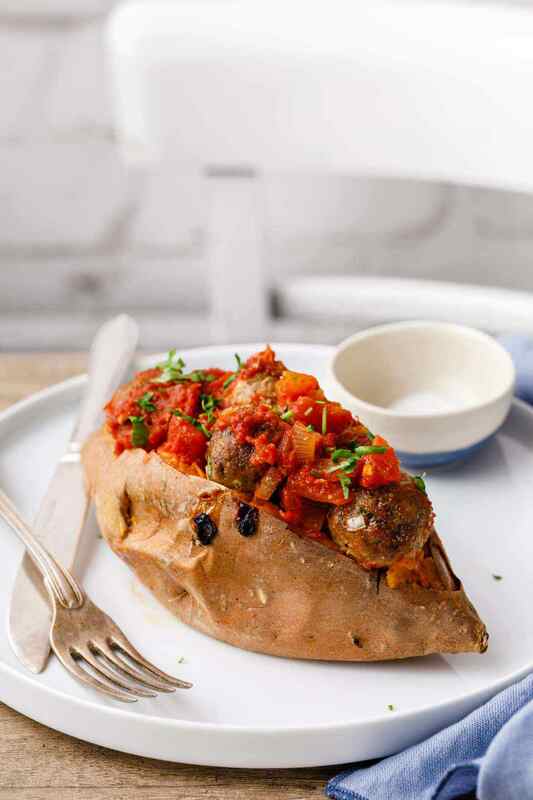 Swap out the sandwich bread and use sweet potatoes stuffed with homemade meatballs with our super secret sauce. 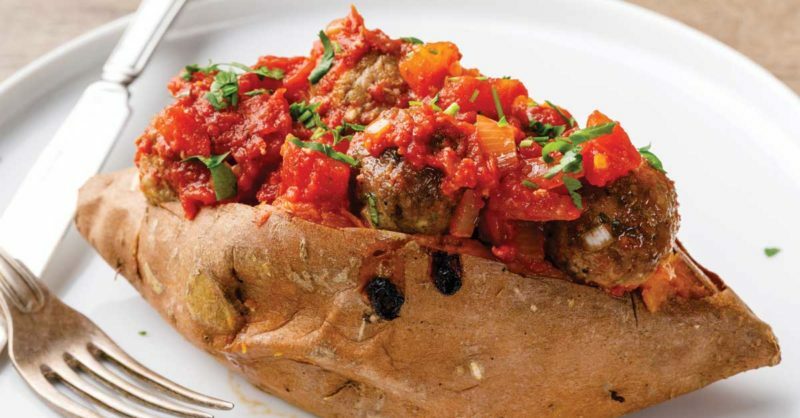 There are three key steps involved in making this meatball sub recipe. The first involves getting your sweet potatoes prepped and ready for use as your ‘bread’. In order to do this, simply pierce each of them with a fork several times and then place them in the oven to bake for about 45 minutes or so. 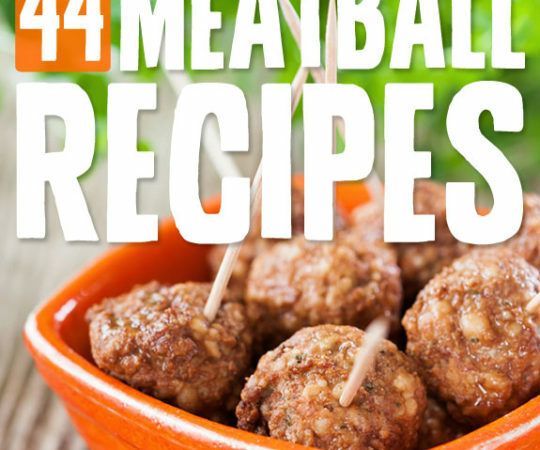 With that out of the way, the next key step is to make the meatballs that will be going in your sub. 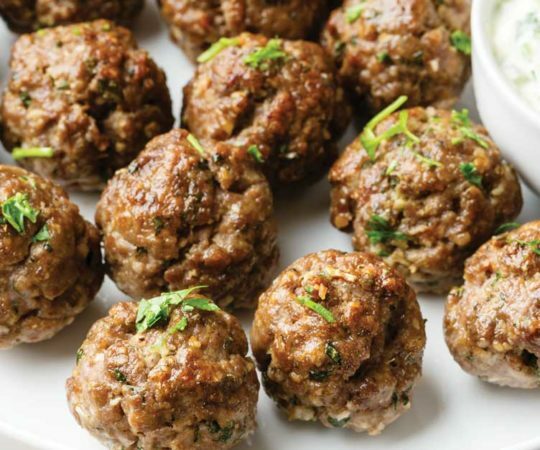 There’s no shortage of ways to make tasty homemade paleo meatballs, but this particular recipe is definitely one of my favorites. You’ll be using lean ground beef, one egg, almond flour, green onions, garlic cloves, red pepper flakes, and chopped parsley. 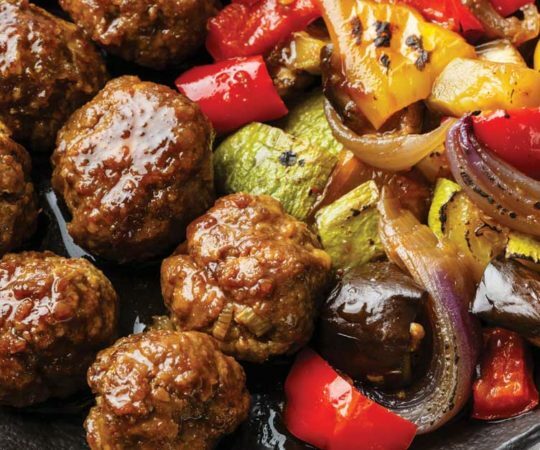 The garlic and red pepper will each work to add a very distinctive flavor to these meatballs, while also ensuring that they end up being quite healthy as well. Garlic in particular is widely regarded for both its culinary and its therapeutic benefits, including having the ability to help lower blood pressure in individuals with hypertension. 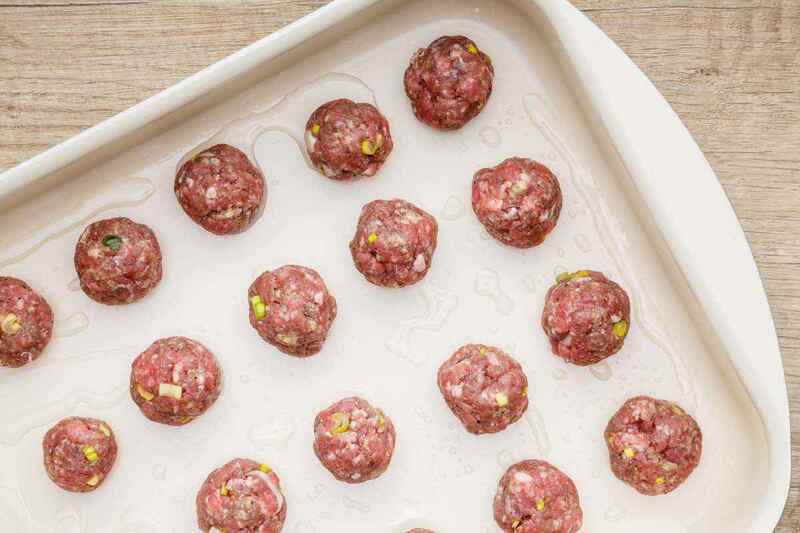 (1) After mixing everything together, bake your meatballs for 18-20 minutes. 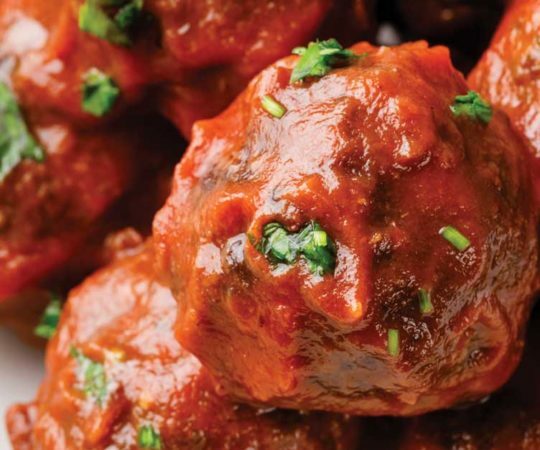 Once your sauce is finished, you can combine it with your meatballs. The only thing left to do is make a few slits in the top of your sweet potatoes and then open them up with a fork. From here, stuff the potatoes with your sauce and meatballs and then bake them for another 15 minutes or so. 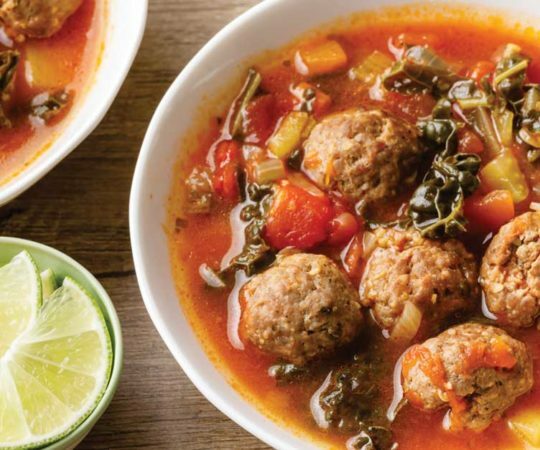 When your meatball subs come out of the oven, sprinkle them with a bit of fresh basil or parsley while they are still warm and enjoy them immediately. As soon as you take your first bite, I’m sure you’ll agree that you won’t be finding anything that tastes nearly as good as these meatball subs at your nearby Subway anytime soon. 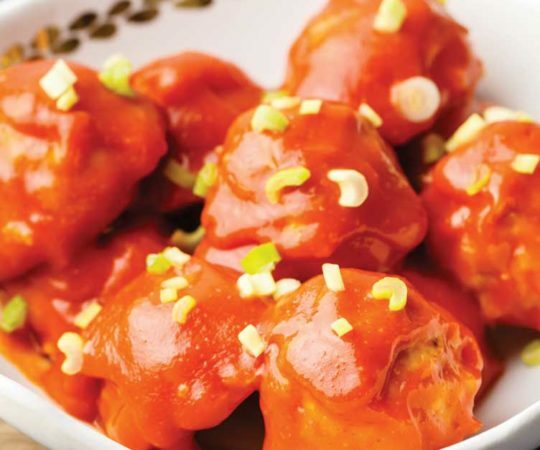 This recipe is a great example of why I love the paleo diet so much. It’s all about finding new, healthy ways to enjoy your old favorites. Using sweet potato as sandwich bread is genius and you won’t believe how well it works until you try it for yourself. Pierce each sweet potato several times with fork and place on a baking sheet lined with foil. Bake until tender, about 40 – 45 minutes. 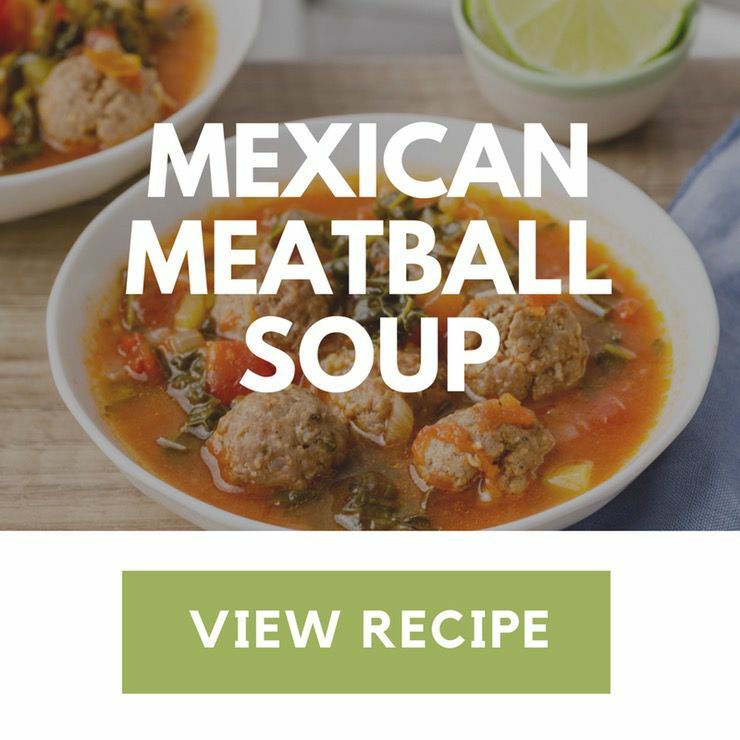 To make the meatballs, in a large mixing bowl place all the ingredients. 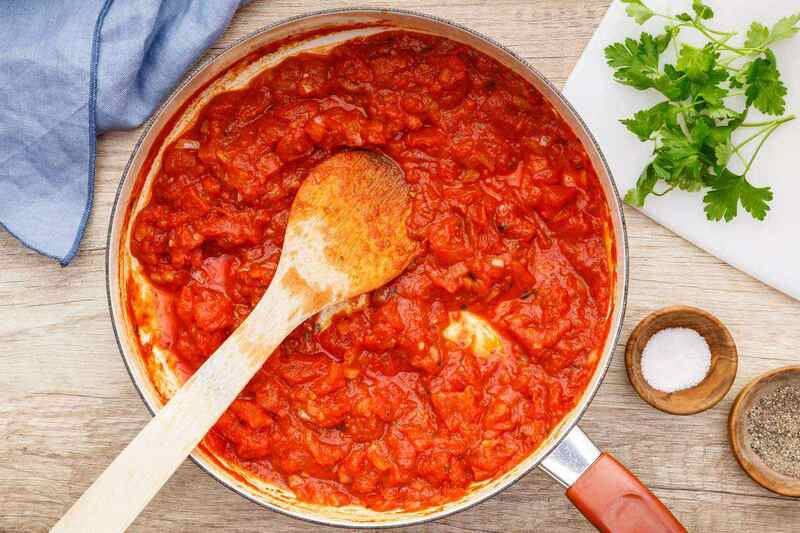 Stir in the tomato puree and crushed tomatoes and season sauce with salt and pepper. Make a slits in the tops of sweet potatoes and open them with a fork. 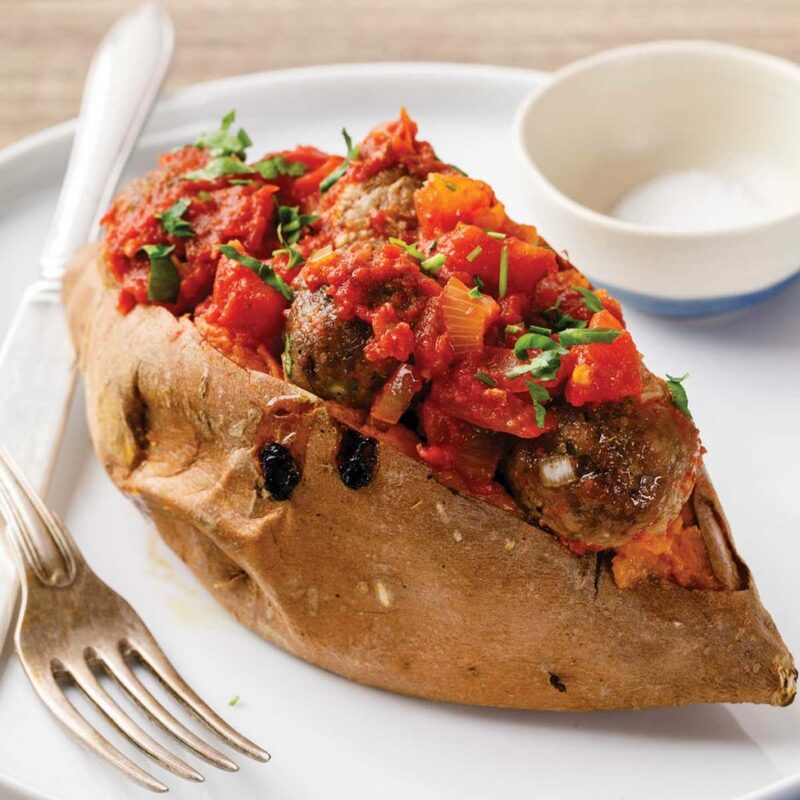 Stuff the sweet potatoes with meatballs and sauce. Return the sweet potatoes to the baking sheet. Return the baking sheet to the oven and bake for 10 – 15 minutes or until the potatoes are hot. Remove from the oven, sprinkle with shredded basil and serve immediately.